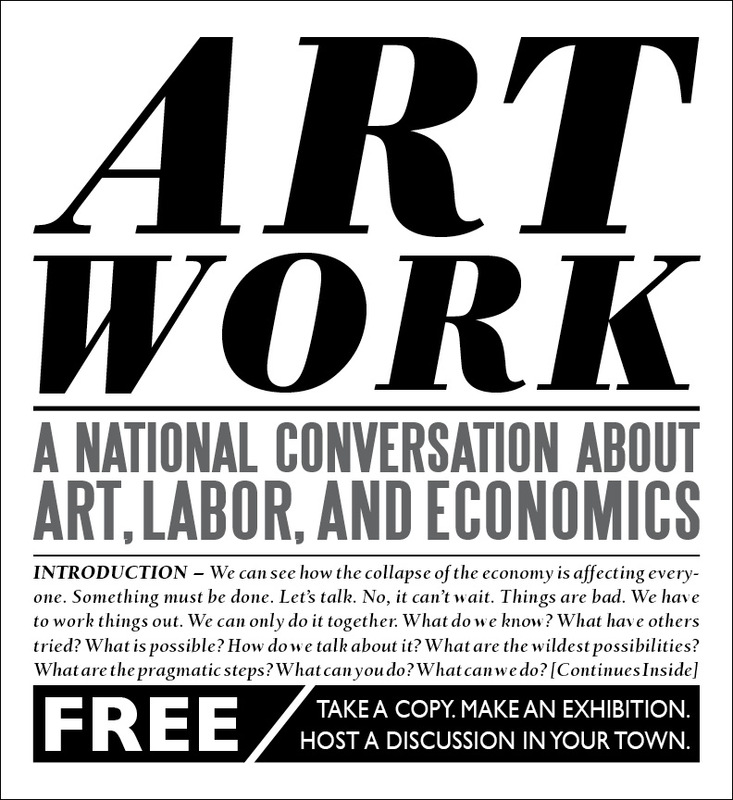 Conversation about Do-It-Yourself culture between Temporary Services and the curators of Pass It On! 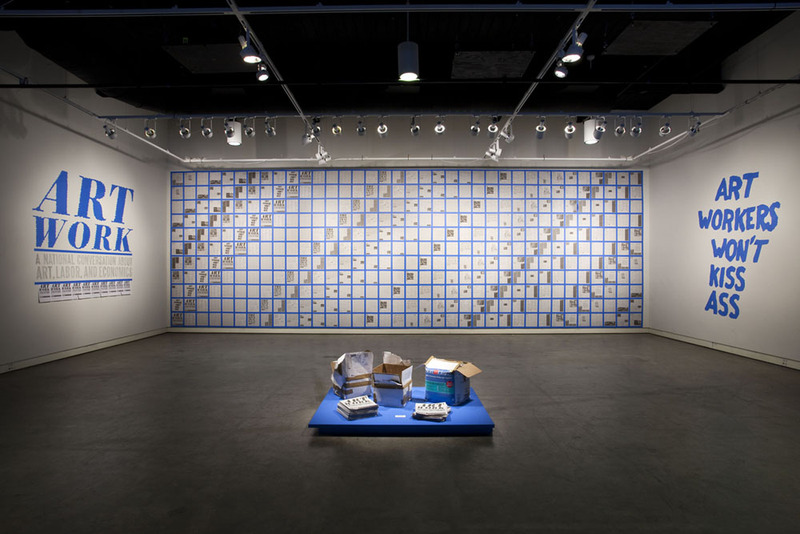 The Miller Gallery hosts Art Work: A National Conversation About Art, Labor, and Economics, produced by Temporary Services, an independent, Chicago-based group comprised of Brett Bloom, Salem Collo-Julin and Marc Fischer. 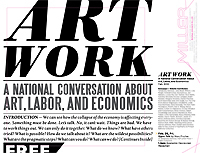 Art Work is a newspaper and website that consists of writings and images from artists, activists, writers, critics, and others on the topic of working within depressed economies and how that impacts artistic process, compensation and artistic property. 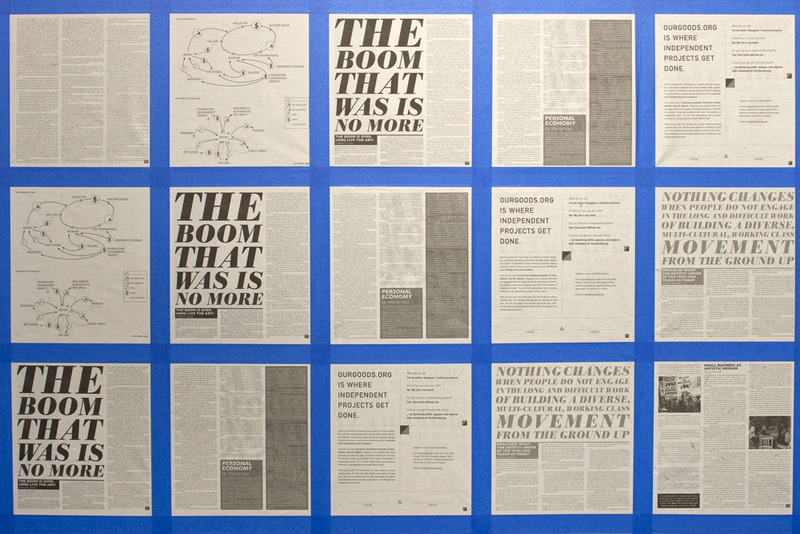 The newspaper will be distributed for free throughout the United States and Puerto Rico. 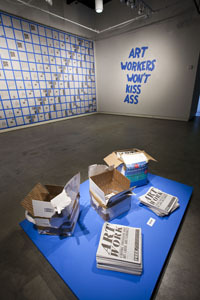 The independently published, 40-page paper features the writings of Julia Bryan-Wilson, author of Art Workers: Radical Practice in the Vietnam Era (2009) and Work Ethic (2003); Holland Cotter, New York Times Art Critic and 2009 Pulitzer Prize winner for criticism; Christina Ulke, Marc Herbst, and Robby Herbst, editors for The Journal of Aesthetics and Protest; Harrell Fletcher, visual artist; Futurefarmers, a collective design studio that supports art projects, artists in residencies and research interests; Justseeds: Visual Resistance Artists' Cooperative; as well as many others. and his experiences after graduating from CMU (BFA '93). 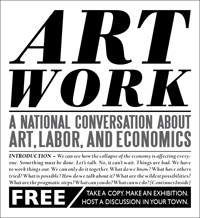 All events are free + open to the public. Events co-organized by the School of Art and the Miller Gallery, in connection with the exhibition of ART WORK at the Miller Gallery at Carnegie Mellon University.